DOWNS MUST GO FOR THE KILL! ORLANDO Pirates coach Milutin “Micho” Sredojevic has advised Mamelodi Sundowns not to rest on their laurels when they face Al Ahly in their crucial Caf Champions League quarter-final second leg. 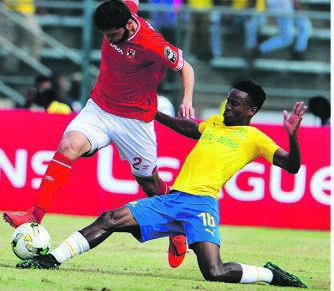 Pitso Mosimane’s charges arrived in Egypt with a 5-0 lead gained in the first leg in Pretoria last weekend and they are hoping to wrap up the tie tomorrow (6pm, SA time) at Borg El Arab Stadium in Alexandria, 350km away from the capital Cairo.The second leg was supposed to take place at Ahly’s fortress, Cairo International Stadium. However, the Egyptians will now host Downs at the 86 000 capacity venue seeking to reverse a five-goal deficit.